Flash forward 2 weeks and I know we “made a mistake”. I am totally nauseous every day. I just know I’m pregnant but completely in denial. There’s no way that I can be pregnant with a 6 month old. There’s no way God would let me be pregnant with a 6 month old. He knows what me and Daniel agreed on and this was not it. I took one pregnancy test 4 days in a row and each time no line appeared, but when I would go back to check on it hours later, there would be a second line. ~evaporation line~. I just kept telling myself that there’s no way. Must be these crappy pregnancy tests that I bought in bulk. 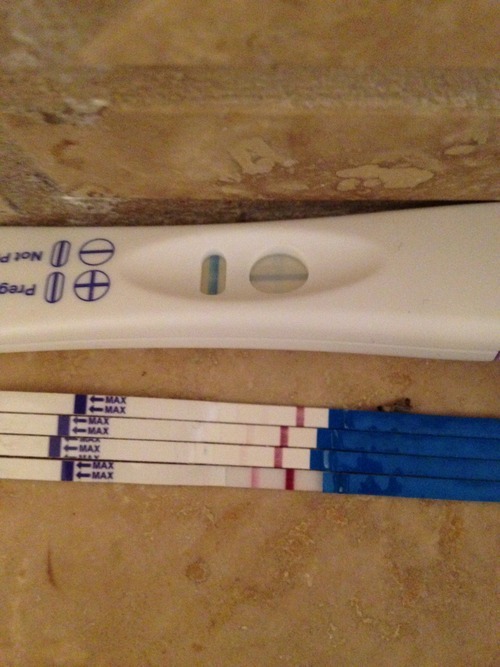 Exactly 2 weeks after my suspected conception date (day 4/4 of my test taking) the second line appeared immediately. I don’t even remember how I told Daniel. I know he knew about all the evap lines, but I don’t even know how I told him that it was definite. I cried pretty much for a week straight. All I could feel was guilt that I somehow messed up. That it was my fault for getting pregnant again (don’t think for one second that Daniel made me feel that way. He was amazing of course and was so happy and shocked and reassuring that everything would be perfect). I felt guilty for being so upset because I knew there was this sweet baby in me that I would love unconditionally. I knew the second I held him/her that I wouldn’t have traded it for another vacation or another few months/years without him/her. I felt guilty that I was somehow putting a time limit on how long I got to soak up my time with Atlas (like he would just disappear or something…!?). I felt guilty for being upset with my fertility when there were friends of mine who were struggling to conceive. Being hyper fertile is a cross to bear, too. I was so upset that God would let this happen. I felt like my prayers were constantly being unheard on a major level. I prayed for an easy birth with Atlas and I didn’t get it. I prayed to not get pregnant and I was. 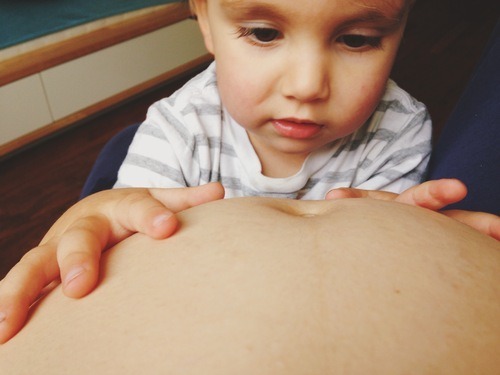 Thinking about having 3 kids seemed so scary. We would be outnumbered. We would have the same family size Daniel had. I was the 3rd kid in my family. We were 25 years old expecting our 3rd which would only mean that by the time I hit menopause we would have around 13 kids if we were blessed with a two year gap between them. I was floored. 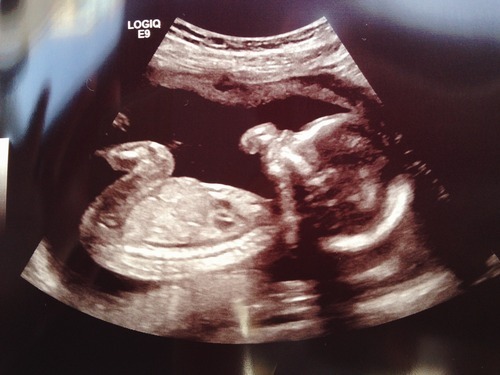 I thought about why I wanted to not be pregnant and was consumed with how selfish I was. I was trying to be in control. I wasn’t praying for God’s will to be done and for grace and humility accepting it. I wasn’t praying for peace and guidance. Not to say that recognizing that having more kids would be a struggle or feeling that you’re family is complete is wrong, but removing God from the equation and not relying on Him to know what is best for you is. James always puts me in my place and I love it and constantly need that reminder. I’ve talked about it a little before in Atlas’ birth story on how it related to my acceptance of his birth, but that passage was pivotal in accepting this pregnancy. **Oliver still needs some help and wears a diaper for nap and nighttime and Atlas needs help falling asleep in the crib and we let him back in our bed in the middle of the night, but STILL. Progress. Now that the big changes were outlined in my head, I could move forward with my life. This pregnancy has had its fair share of mood swings (thanks baby girl), but I also have never felt more at ease with what the transition to 3 kids will look like. (It also helps to be surrounded by a community where the average family size seems to be 6+kids). As the months have passed and I have gotten to feel our baby GIRL! move around in me and see her sweet profile in ultrasound or Ollie constantly hugging my belly and talking to her, I can not wait to meet her. July 25th is no longer a day that I’m scared of. My fertility isn’t something to be scared of. It will work out. It will be hard. It will be perfect. Once I get out of my own way, it always is.